DuckTales: Remastered – Games for Android 2018. 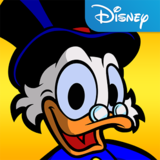 DuckTales: Remastered – Help Scrooge McDuck save his nephews in this retro action game. 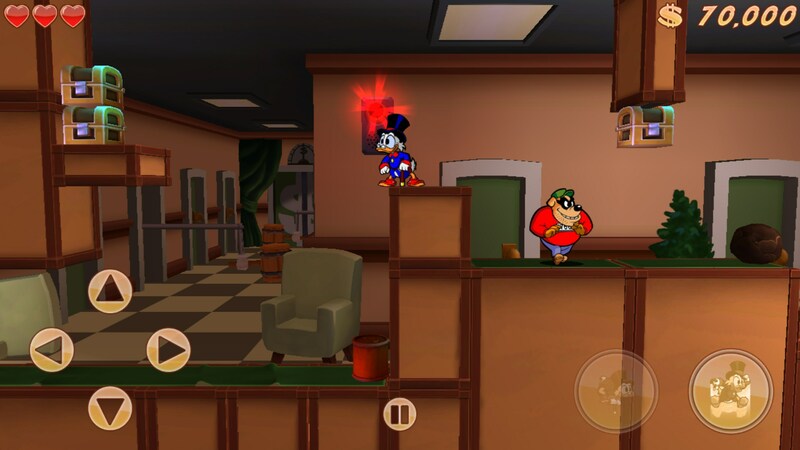 DuckTales: Remastered for Android is an arcade style platformer game where you gotta save Donald's little nephews from the evil clutches of those mischievous bulldogs. 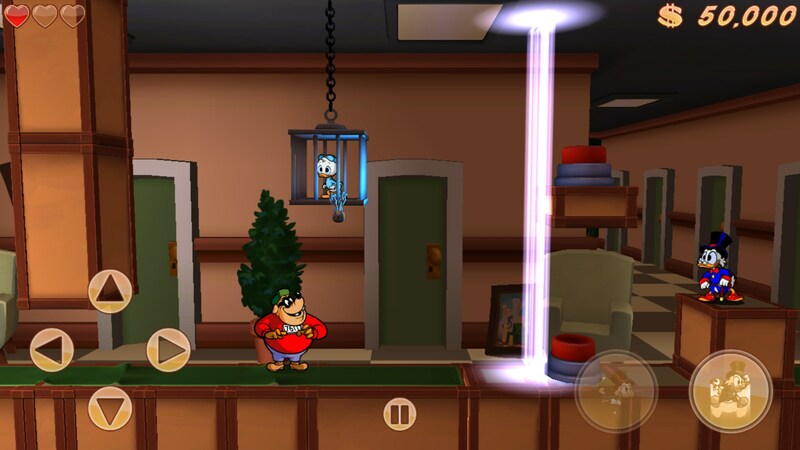 Collect diamonds, traverse obstacles and bounce atop enemies with your trusty pogo stick. This one is good fun for retro fans. DuckTales: Remastered displays in landscape and takes place a Scrooge McDuck's posh office. 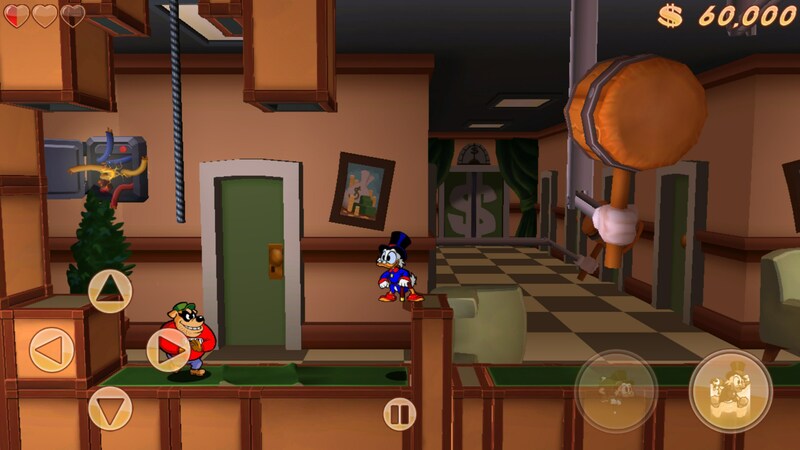 Those naughty bulldogs are at it again, ransacking Mr. McDuck's office for all his loot, and tying up his nephews and suspending them from the rafters in cages. Your mission, is to free your nephews, avoid all the obstacles that were seemingly installed in your absence and bonk all those evil doggies with your pogo stick... yes, pogo stick. 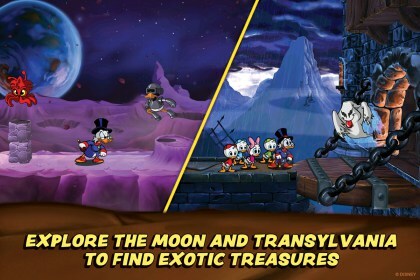 Nope, none of this really makes sense, but the play is dynamic and loads of fun, particularly if you love Mario Brothers style side scrolling adventures. 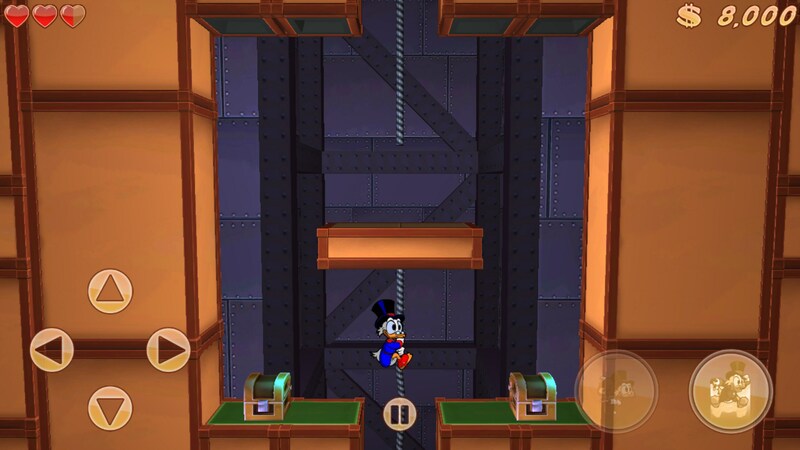 The controls use directional arrows on the lower left for lateral and vertical movement, and a jump button on the right, with a pogo stick button that's used while airborne and causes you to slam back to earth on a bouncy pogo stick. 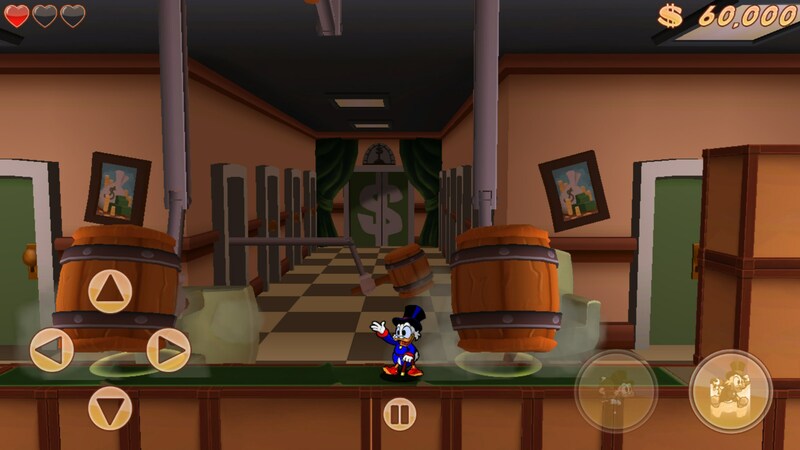 The controls can actually be swapped for right or left handed use, and the pogo stick function is clumsy and awkward, and definitely takes some getting used to. The graphics and animation look to be of movie quality, and I expect no less from Disney. The visuals are energetic, entertaining and loads of fun to look at. The sounds are kind of abrasive and overly energized, though kids will probably love it, while parents should be forewarned to keep the aspirin handy. 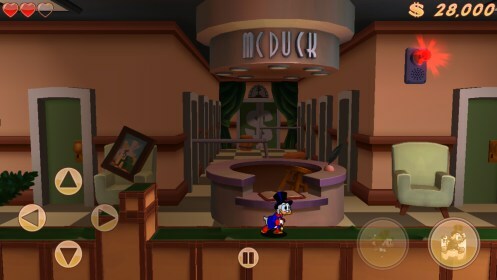 DuckTales: Remastered is good fun for kids of all ages. It’s also quite expensive, so you do the math.